This database contains instances drawn randomly from a database of 7 outdoor images (classes). 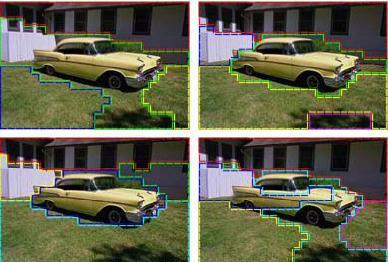 The images were handsegmented to create a classification for every pixel. Each instance encodes a 3x3 region. The task is to determine the type of surface of each region. 6. Vedge-mean: measure the contrast of horizontally adjacent pixels in the region. There are 6, and this is the mean value. This attribute is used as a vertical edge detector. 7. Vegde-sd: the contrast of horizontally adjacent pixels in the region. There are 6, and this is the standard deviation. This attribute is used as a vertical edge detector. This is not a native data set from the KEEL project. It has been obtained from the UCI Machine Learning Repository. The original page where the data set can be found is: http://archive.ics.uci.edu/ml/datasets/Image+Segmentation.